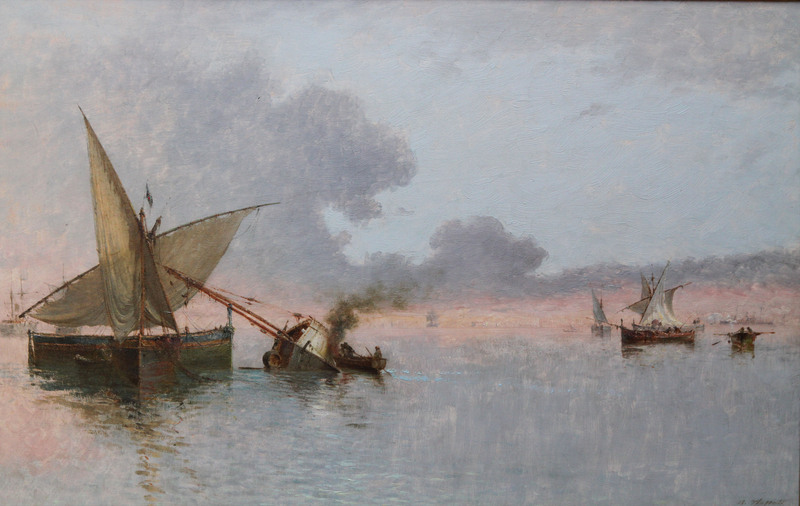 Italian 19th century Spezia marine oil painting by Agostino Fossati. It depicts an evening glow across the bay. The oil on panel was painted circa 1870. 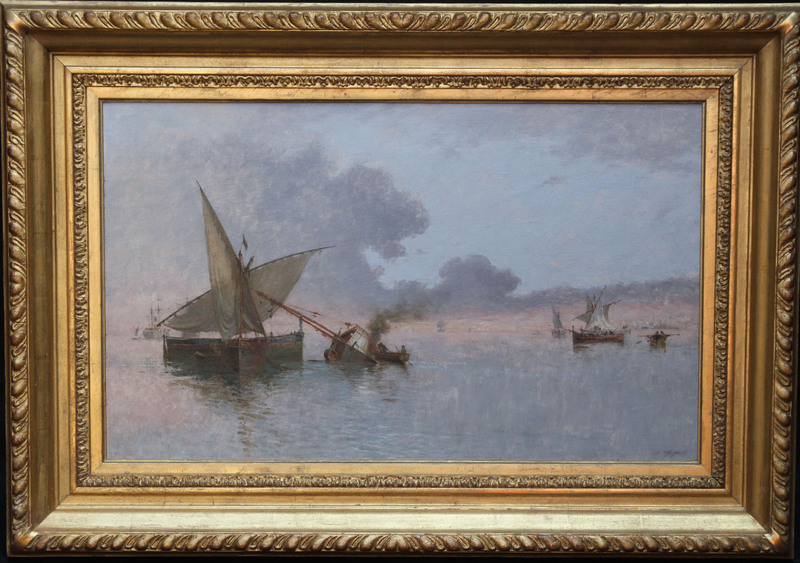 Gilt frame 20 inches by 29 inches.